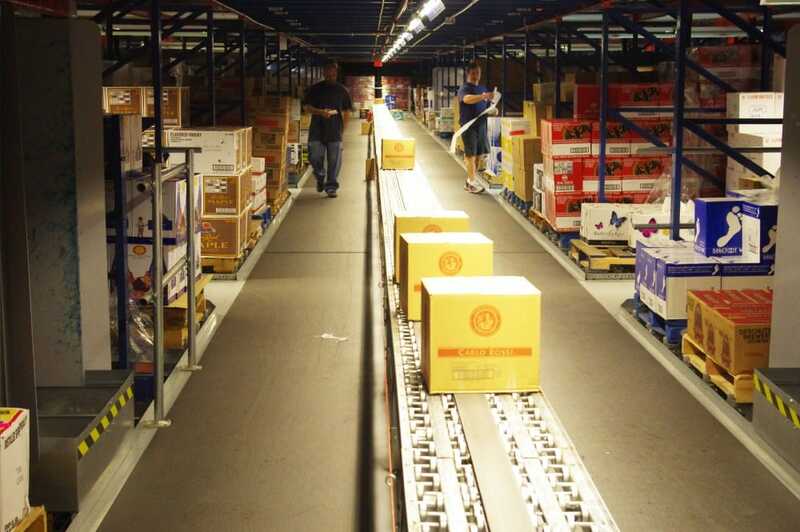 Manual Warehouse Picking Systems Integrated With An ASRS - Westfalia Technologies, Inc. Integrating an automated storage and retrieval system (AS/RS) with manual warehouse picking processes drastically simplifies the picking process to improve order fulfillment. An AS/RS brings the product to the workers, significantly reducing travel time between pick locations. An AS/RS brings the products close to the shelves with high velocity, while the storage and retrieval machine (S/RM) assures that the picker always has product available in the right position. There is no redundant or repetitive manual material handling, and the probability of human error is minimized. The pick-by-voice system is ideal for operations where there is a large number of stock keeping units (SKUs) spread across a large area. Using speech recognition and synthesis, pick-by-voice transmits voice instructions to a picker through speech data terminal (SDT) headsets, instructing the operator which item to pick. Once the item is successfully picked, the operator provides voice instructions that are directly transmitted to the order management system, typically a warehouse management system (WMS) or ERP system. This frees up the operator's hands to focus on retrieving the required stock items with increased accuracy and flexibility. Pick-to-light (often referred to as pick-by-light) is most commonly used in operations where there are a low number of SKUs with high volumes. Using light displays, this system directs warehouse operators to specific locations, where each location has an individual numeric or alphanumeric light display. This light display instructs operators which products to pick and the quantity of each. Pick-by-label is a manual picking strategy whereby operators uses a series of labels for their pick list attaching a label to each item picked with any unused labels being returned to check for discrepancies. The Radio Frequency Mobile Picking method can be used in all types of operations. This picking method is a paperless picking strategy using handheld RF scanners and mobile devices for the order fulfillment of large quantities of different products and volume where pick-to-light is not justified.